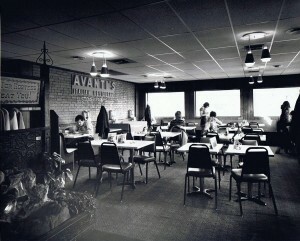 The original Avanti's Normal location near campus opened in 1971. Like so many Illinois State alums, Susan Nelson-Brown ’78 got hooked on Avanti’s soon after moving into her residence hall, Dunn-Barton, right across Main Street. Every Sunday night—back when dining centers were closed that evening—the campus radio station (then WILN) played oldies during an hour-long Let the Good Times Roll segment. Students who called in and correctly named the band, song, and when the tune came out won free Avanti’s. Brown got her entire floor to play, collectively winning enough food to last the whole week. They figured out the deejays eventually repeated the songs, and some weeks the floor would win every song. Guido Zeller was the heart and soul of Avanti’s until his death in 2002. Illinois State students, faculty, staff and alumni have been a large contributor to the Normal restaurant’s success, especially early on. And that’s on top of the steady supply of student employees who today make up about one-third of Avanti’s workforce. Five years later the Zellers teamed up to open the Normal location, again adjacent to a college campus. It’s never moved from Main Street, but it has grown. The original 56-seat Avanti’s dining room more than doubled in size by 1991, and a second location on Bloomington’s east side opened four years ago. Related Article: Delicious memories We asked alumni to share their favorite memory from Avanti’s—and wow, did you deliver. Guido took sole ownership in 1973 from Albert, who still runs his own locations in Peoria. The Gondola has always been their menu all-star. The bread recipe came from the Peoria restaurant that Albert bought, though he’s tweaked it over the years. Guido’s business stuck with the original. “Theirs is a little sweeter than ours,” said Rich Zeller, Guido’s son, who now owns and operates the Bloomington-Normal locations with his brother, Marcus. The second generation of Zeller brothers started off as busboys for Guido. Rich and Marcus became managers in the 1980s, then managing partners in 1995, making their father proud to hand off the business to family before he died in 2002. It’s a true family business. 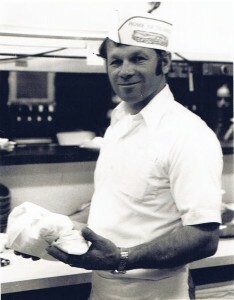 Guido’s brother, Leo, joined the Normal operation in 1976 and was an integral part of the business. Now retired, Leo continues to look after Avanti’s interior and exterior plants and flowers. And Guido’s wife, Anna, helped get the business off the ground and even pitched in from a home office after the couple’s fourth child was born. Both she and Leo continue to volunteer to serve food at local charity events Avanti’s sponsors. Rich said he first realized the iconic status Avanti’s had achieved when he went to high school and heard how reverently people spoke about his dad’s life’s work. The family’s ISU ties go deeper than just Gondolas. They’re basketball season-ticket holders, and the Zellers’ sisters, Maria (Ditchen) ’96 and Judy (Mulcahey) ’92, are alumnae. They also support ISU and Athletics financially, making a large contribution to the Redbird Arena completion project in 2004 and continuing with annual gifts, including food for Redbird teams. The Zellers have been selling food at Redbird Arena and Hancock Stadium for years, and Avanti’s also helps out in the community, including the Normal-based Special Olympics Illinois. Their busiest day of the year is the State of Illinois Marching Band Championship each fall, when families from all over the state descend on campus for a weekend visit. Those relationships, especially with student employees who have unique class schedules and social lives, have been important to Avanti’s from the very beginning, starting with Guido. One of those carrying that legacy today is Bloomington-Normal native Courtney Markey ’11, who has worked at Avanti’s for seven years, starting in carry-out and later as a dining room supervisor at the east-side location. Now back at Illinois State to get her master’s degree in the Department of Family and Consumer Sciences’ nutrition and dietetics program, Markey works as a server to pay for her living expenses. She appreciates that Avanti’s managers are experts when it comes to accommodating student schedules. The leadership skills she picked up as a supervisor herself will someday help her pursue a career as a registered dietician at a hospital or school district. And she hasn’t gotten sick of Avanti’s food, even after seven years, using the free $6 daily food allowance to chew through the big menu. “Being a poor college student, it’s not always easy to get to the grocery store,” Markey said. As campus has changed, so has Avanti’s relationship with ISU. Back in 1980, when Avanti’s first opened for lunch, Illinois State students, faculty and staff were a big part of the clientele. Back then Avanti’s also had a bustling late-night business, fueled by foot traffic from nearby Main Street watering holes like White Horse Inn. Walker, Dunn-Barton, Atkin-Colby, and Hamilton-Whitten—certainly didn’t hurt business, Rich said. “We’d lock up, and you’d have them knocking on the side doors, looking to order,” Marcus said. As many alums can attest, Sunday nights were Avanti’s night. A delivery driver with a carful of food would head over to Watterson Towers every 20 minutes, Marcus recalled. Illinois State Treasurer Dan Rutherford ’78 cooked a lot of that food. Rutherford got the job two weeks into his freshman year through Guido, who once delivered cheese to Rutherford’s parents’ pizza place in Pontiac. Rutherford had “tomato paste in my veins,” as he puts it. He worked at Avanti’s for five years to help put himself through college debt free. The student body president was the first to sell Gondolas to raise money for his student organization, something fraternities and sororities continue today. One of Rutherford’s favorite memories? When his friends in the dorms would order a large pizza, he’d send it over uncut, just to mess with them. At the same time, the restaurant has seen deliveries pick up in another area—the rest of the country. Distance doesn’t deter one group of alums from satisfying their tastebuds. 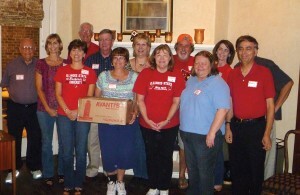 Susan Nelson-Brown ’78, center of back row, hosts an annual gathering of alums who make their own version of the sandwich with the restaurant’s bread, which they have shipped to Dallas, Texas. Nelson-Brown, the alumna living in Dallas, is a leader of the Dallas/Ft. Worth Area Alumni Network. One day members were reminiscing about Avanti’s. Nelson-Brown called the Normal store and found out they do ship bread loaves, just not the meat. They’ve now had three Gondola parties in the past two years, drawing more than 35 people who gobble up (or take home) about 60 feet of Avanti’s bread. Just as their father saw potential for growth when he opened for lunch, his sons also have their eyes on the future. In 2000, seeing flat sales and no way to squeeze more out of the Normal store, discussion began on expanding into the second location, which opened in 2009 on the fast-growing east side. And just last year, Avanti’s paired up with Alamo II to sell sandwiches and salads in the campus store. 1971: Guido and Albert Zeller opened Avanti’s on Main Street for dinner service only, with a 56-seat dining room. 1980: Lunch service began, fueled in part by an ISU customer base. Mid-1980s: Guido’s sons, Marcus and Rich, became part of Avanti’s management team. 1989: Catering services began as demand increased. Lunch delivery also started. 1991: Another remodel of Main Street location boosted seating to 135, doubling building square footage. 2002: Guido passed away, one year after turning over control of day-to-day operations. 2006: Started off-site kiosk concession sales at Redbird Arena and U.S. Cellular Coliseum. 2009: Opened second location on Bloomington’s east side near Central Illinois Regional Airport. I moved to Normal in 1967, when I began as a professor in the Political Science Dept. at ISU. I've been a regular patron of Avanti's since it opened in 1971. (B/N was in dire need of more good restaurants then, so Avanti's was welcome.) Students in my courses who were in danger of flunking knew that they were assured of an A if they brought me a serving of Avanti's delicious lasagna. (I'm kidding . . . just a slice of Avanti's pizza would do it.) Although I retired from ISU in 1995, I continue to live in the community and still frequent Avanti's. More than once I praised Guido not only for his delicious food but also for his expert selection and training of waiters and waitresses; their efficient service and wonderfully cheery attitudes were an important part of the good dining experience that Avanti's consistently offers. Thanks for lots of good meals and memories. Our favorite story was going to the Indy 500 in the mid-1980's. Our group had all met at ISU and we were having a "reunion" of friends. We picked up gondolas on the way to Indianapolis, and were handing out our special lunch, when the people next to us offered to share their shrimp if we'd share our gondolas. Turned out they went to ISU also, and were very jealous! You never know where you'll find a gondola! I also told every ISU intern at my school that they were required to bring back gondolas if they were going back to ISU at any point during the school year! Nothing better!